Listing 09862145 has been removed. Contact us for additional information. UPGRADED CORNER UNIT AT SUPERIOR 110 WITH UNOBSTRUCTED BREATHTAKING VIEWS FROM EVERY ROOM! THIS HIGHLY SOUGHT AFTER 2 BEDROOM/ 2 BATHROOM HOME FEATURES A SPLIT BEDROOM FLOOR PLAN, OPEN KITCHEN, FLOOR TO CEILING WINDOWS, PROFESSIONAL KITCHEN, SLEEK BAMBOO FLOORING, MARBLE AND NATURAL STONE BATHS, SPEAKERS AND TOUCH PANEL CONTROLS IN EVERY ROOM AND CUSTOM CLOSETS! IMPRESSIVE KITCHEN WITH SNAIDERO CABINETRY AND PROFESSIONAL GRADE APPLIANCES. MASTER SUITE WITH OVERSIZED SHOWER, DOUBLE VANITY AND GROHE FIXTURES. THE 19TH FLOOR IS THE HIGHEST AVAILABLE FLOOR FOR 2 BEDROOMS IN THE BUILDING. PRIME EXTRA-WIDE PARKING SPACE FOR $45K. FULL AMENITY BUILDING INCLUDES 24-HOUR DOOR STAFF, EXERCISE ROOM, CONFERENCE/BUSINESS CENTER, ROOF DECK AND ADDITIONAL STORAGE. 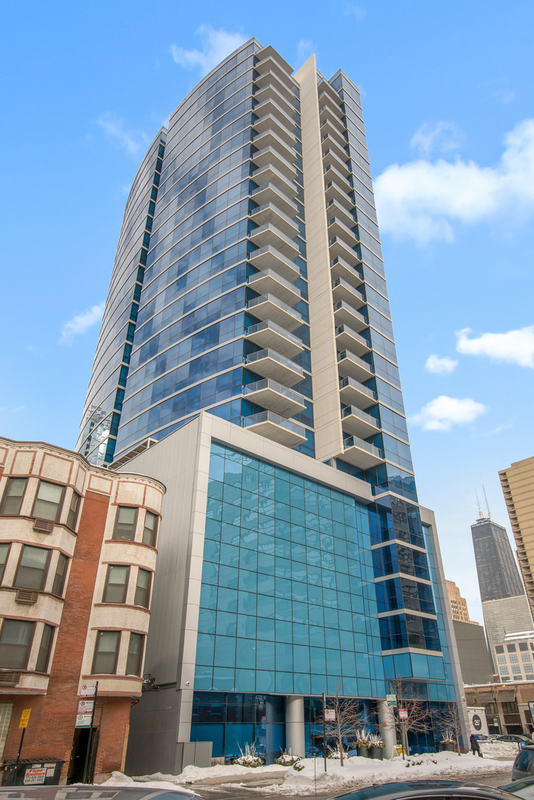 UNBEATABLE RIVER NORTH LOCATION WITH ROCKSTAR VIEWS! Property information last modified by seller on Thursday, April 12, 2018, 05:32 PM CDT. Information Deemed Reliable But Not Guaranteed. Unauthorized duplication, use, or linkage is prohibited. The information on this web site is for personal, non-commercial use and may not be used for any purpose other than to identify prospective properties consumers may be interested in purchasing. Monthly Payment Calculator results are for illustrative purposes only, not a financing opportunity; calculations assume a 30-year fixed-rate mortgage and do not include closing and other costs. Property Tax on NEW properties is estimated at 1.5% of Listing Price for payment calculation purposes; actual value may be higher or lower.